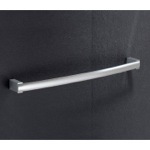 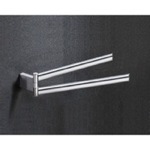 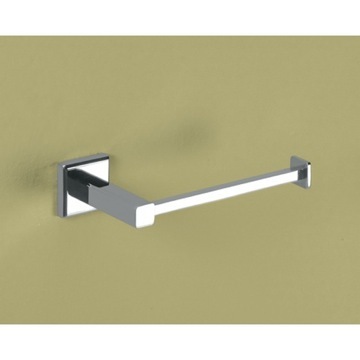 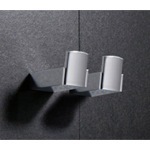 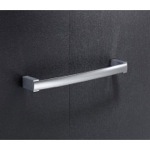 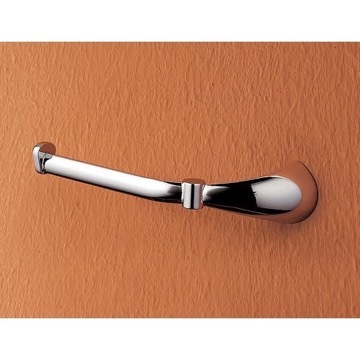 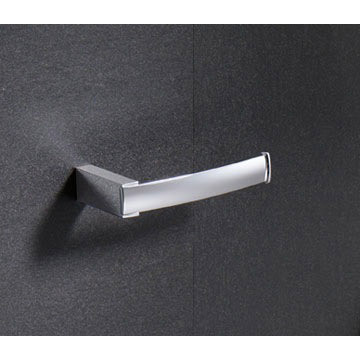 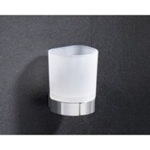 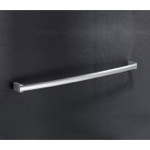 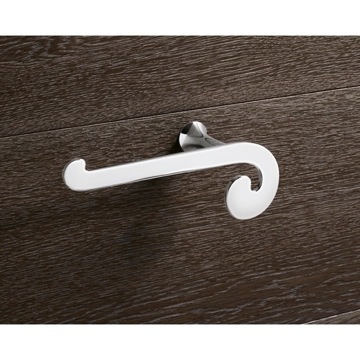 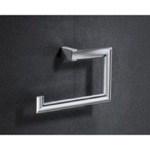 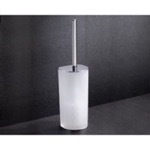 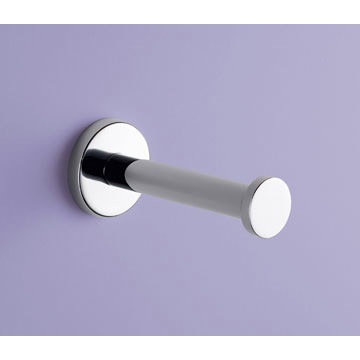 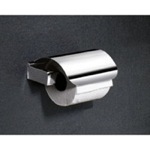 The gently curving profile of this modern, wall mounted toilet roll holder is a superb fashion accent for your décor. 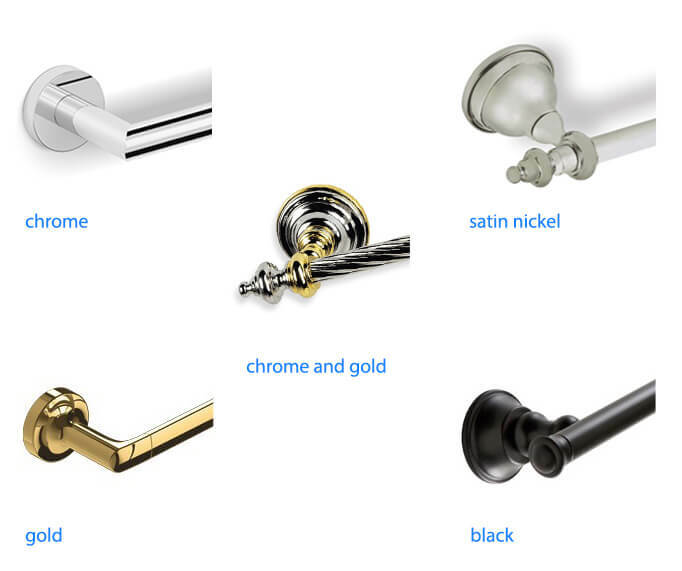 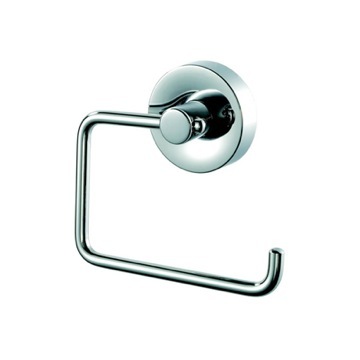 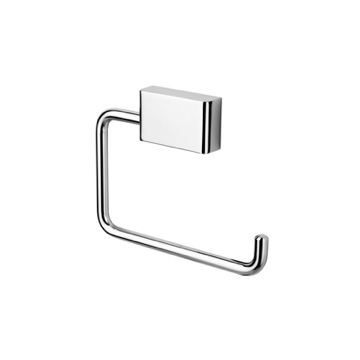 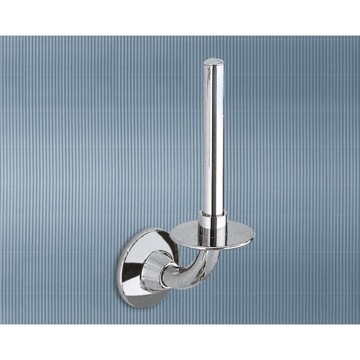 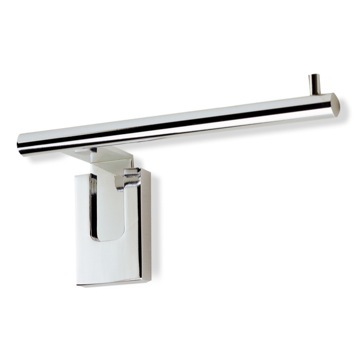 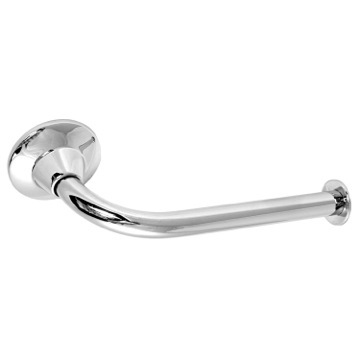 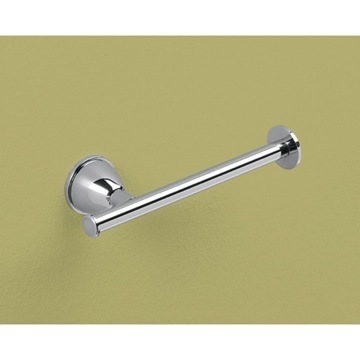 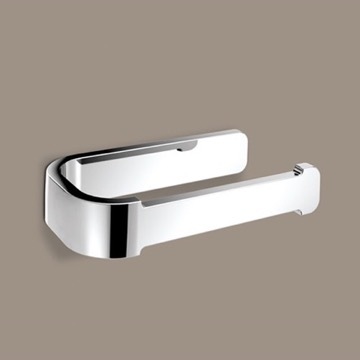 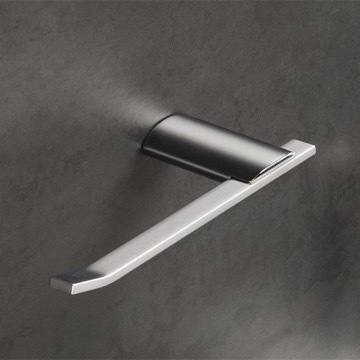 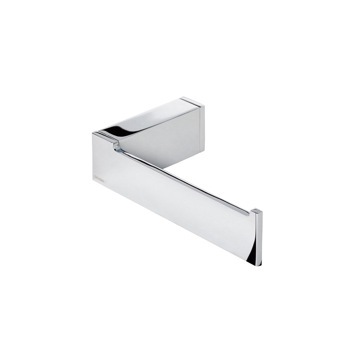 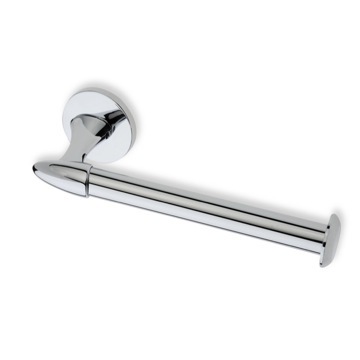 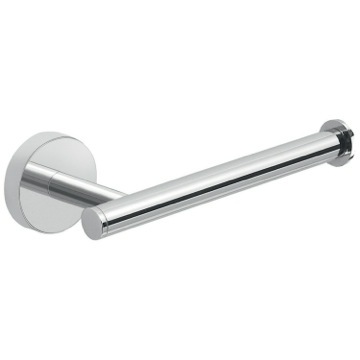 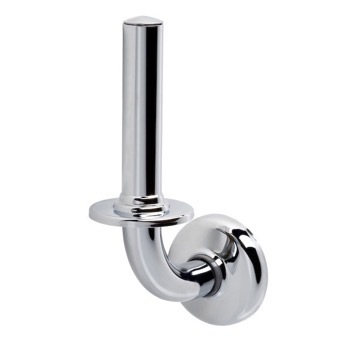 Forged of solid brass with a chrome finish for corrosion resistance and long life, this toilet paper holder will give you years of performance in your bathroom or powder room. 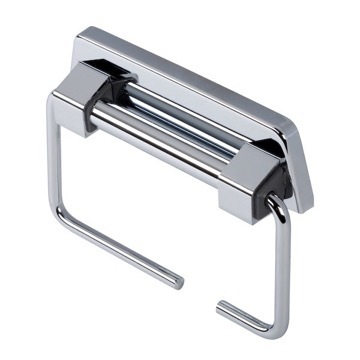 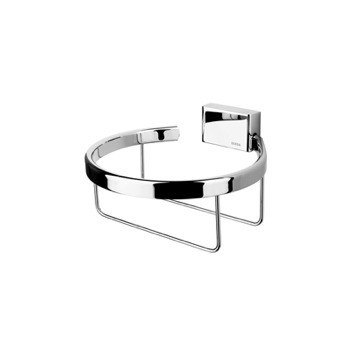 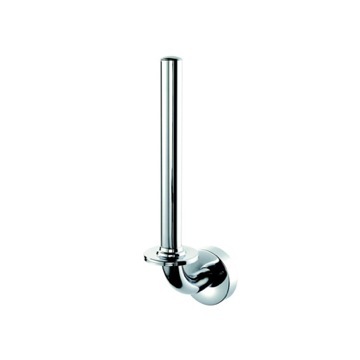 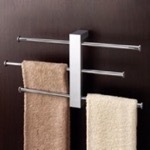 Modern toilet paper holder made of brass in a polished chrome finish. 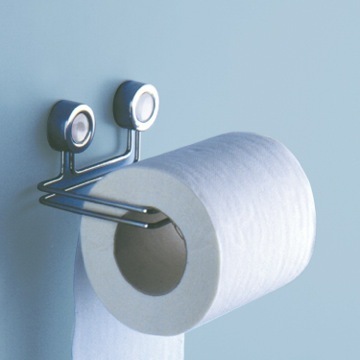 Can it be used as a vertical toilet paper holder? 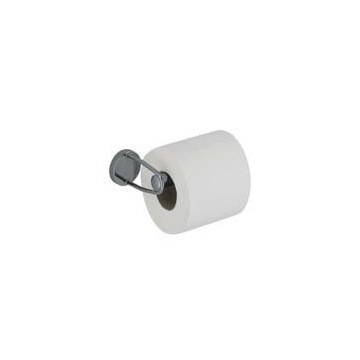 This item is recommended to be installed as pictured by the manufacturer; as installation in any other manner will void manufacturer warranty. 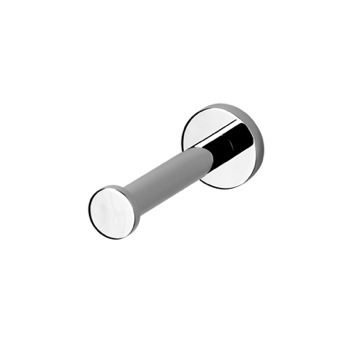 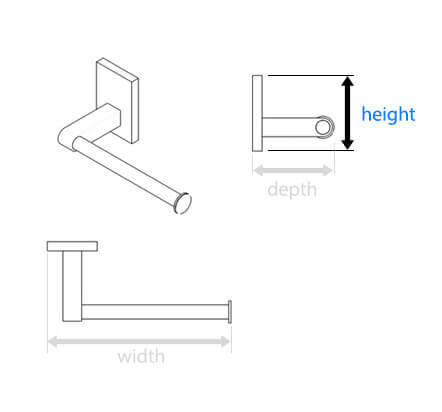 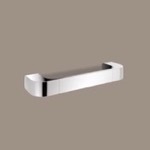 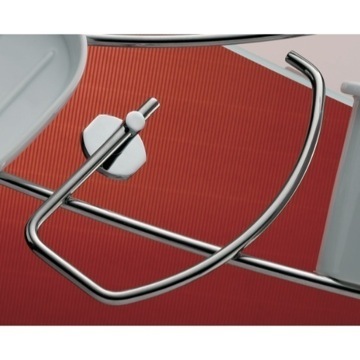 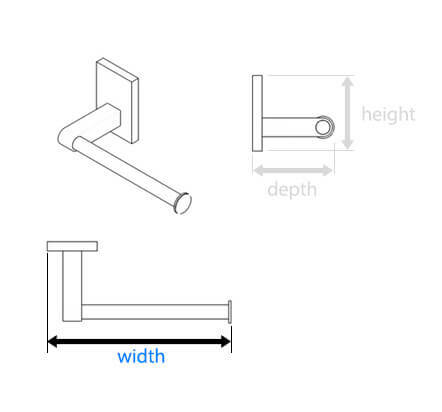 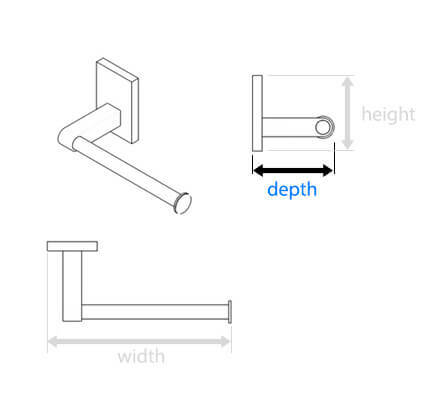 The item has the ability to be installed vertically, however, the product does contain a set screw to lock it in place once installed. 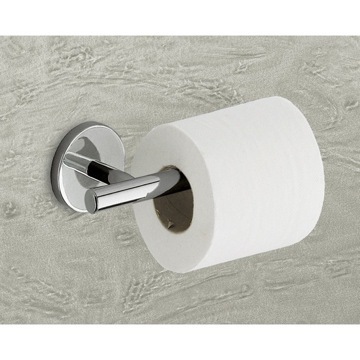 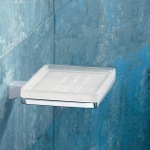 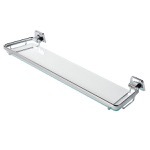 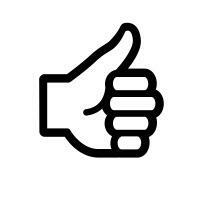 As such, if installed vertically this would be visible on the right side of the toilet paper holder.